At HEODRA, the teaching hospital of UNAN Leon, there is no availability of radiology studies at off-hours. Despite this, health care practitioners still evaluate patients in the emergency department 24 hours a day, 7 days a week. Emergency bedside ultrasound is one technique that can be used to diagnose life-threatening conditions in real time, even when a radiologist is not available. 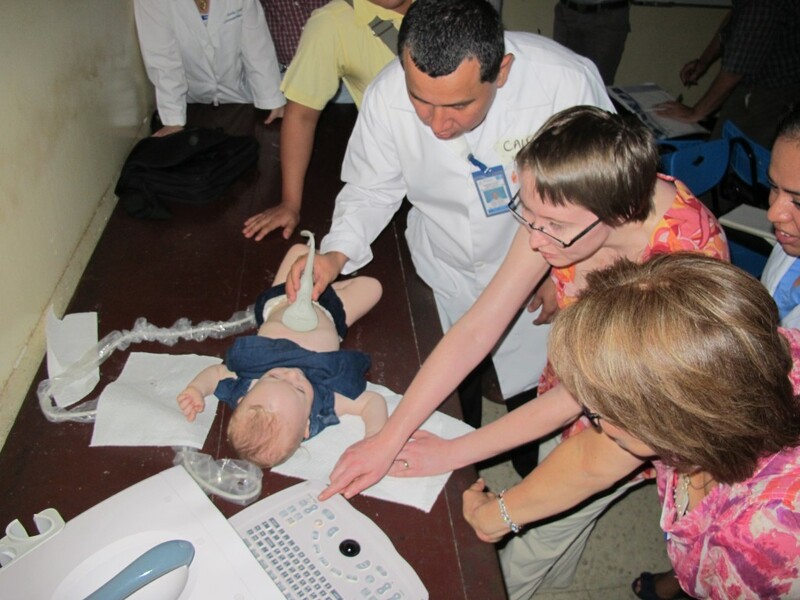 In 2013, a donation of a Sonosite -180 portable ultrasound machine was made to Project SEMILLA by the Sonosite Soundcaring program. 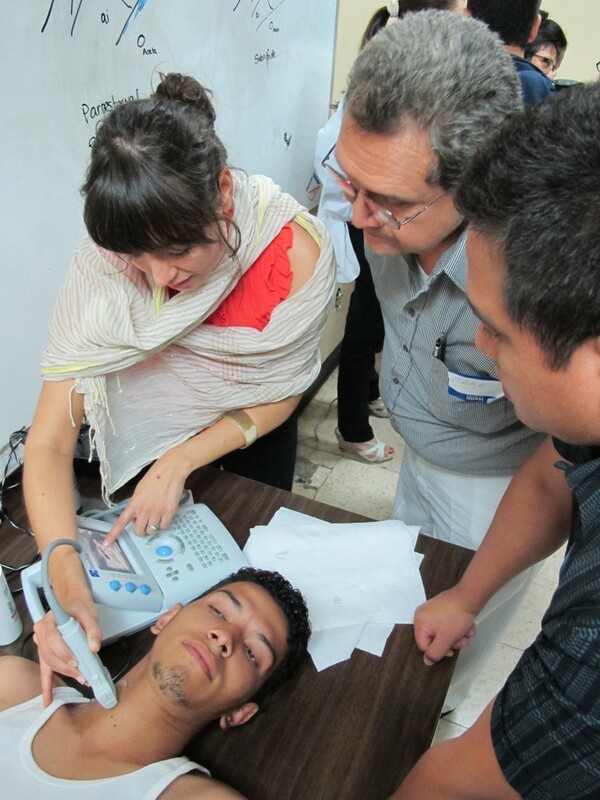 To allow practitioners at HEODRA to put this machine to use, we created a course in emergency ultrasound for UNAN faculty. 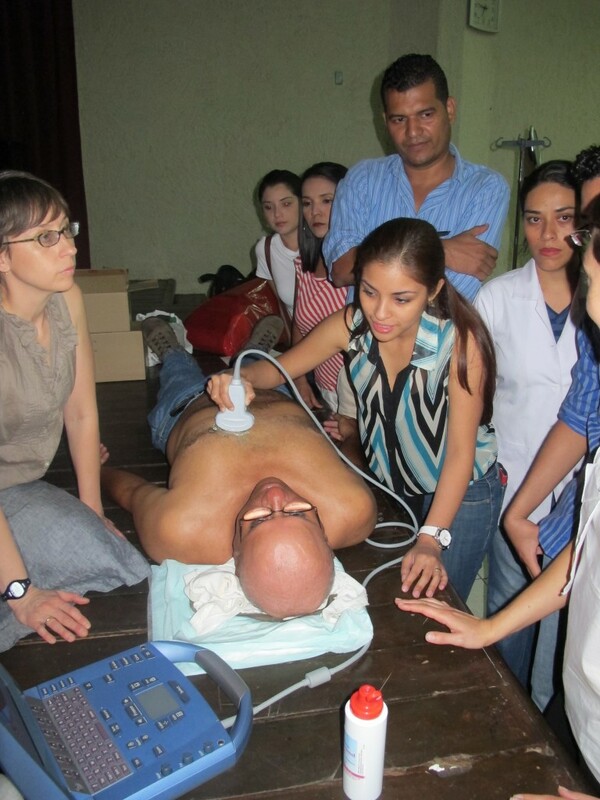 The course is also a mixture of didactic education and hands- on practice with portable ultrasound machines. The course focuses on topics that will help diagnose emergent conditions and aid in the safe performance of bedside procedures. The course includes the FAST exam for the evaluation of trauma, ultrasound evaluation for medical causes of hypotension, and ultrasound-guided procedures. 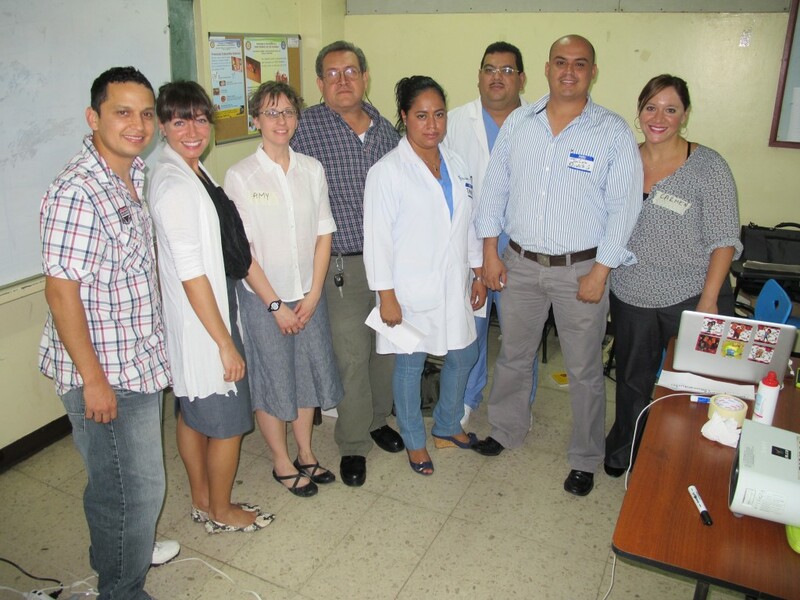 After training on models, the course also includes time for scanning of hospital patients under the supervision of course instructors.